Dunwoody Idol competition to be held at Lemonade Days - video auditions requested. 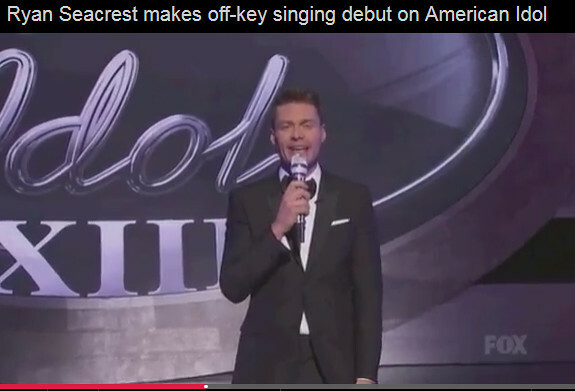 Dunwoody's original American Idol, Ryan Seacrest was asked to sing in front of millions with his parents Connie & Gary in the the front row showing support. Now it's your turn! Signup for the Dunwoody Idol singing competition! The contest is open to solo vocalists ages 25 and younger. Auditions will be open until Tuesday, April 5. This audition process will be done through video submission. Our panel of judges will select 10 finalists who will perform between the Lemonade Days Stage headline acts on the evening of Saturday, April 16. A winner and runner-up will be selected and awarded a prize package (details TBA). To learn more and sign up, please fill out our audition form, which you can reach using the link below. Performers must be 25 or younger. Your video must be a single continuous shot. You may perform with a recorded track. You may also accompany yourself with an instrument. There is no bonus for playing an instrument. There is also no penalty for singing to a track. Solo vocalists only, no groups please. We will select 10 finalists from the auditions. All finalists will perform at Lemonade Days on the evening of Saturday, April 16. Our panel of judges will select a winner and runner-up, who will be announced after Beauregard and the Downright’s set. Our winner will also receive a handsome prize package (details announced later) along with the prestige of being crowned this year’s Dunwoody Idol! Dunwoody High School Football Coach Michael Nash. - Great Guy for DHS! 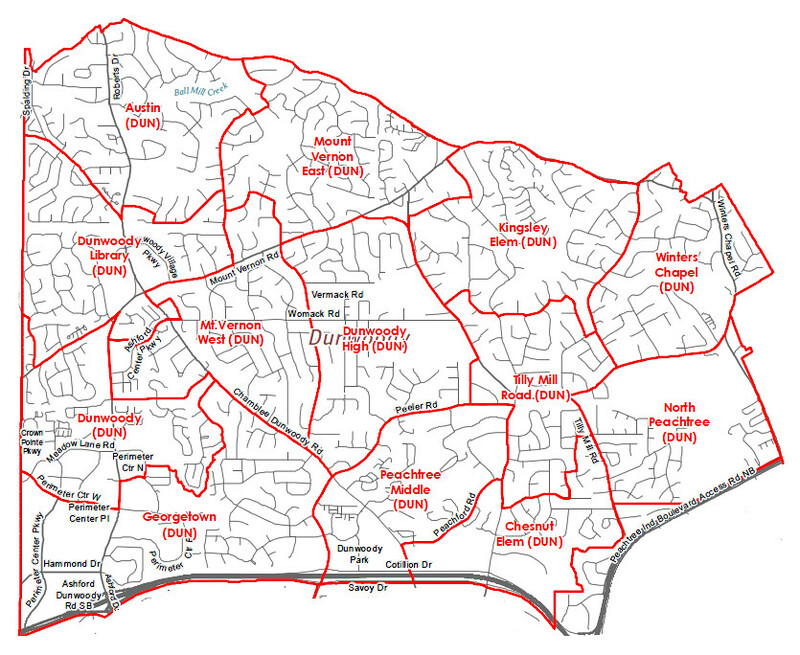 Approval of a Construction Contract for Chamblee Dunwoody Water Main and Paving-Cambridge to Womack. Approval of Georgia Power LED Roadway Initiative. Approval of Funding for Storm Water Pipe Repairs at 1495 Devonshire Way. Approval of Funding for Storm Water Pipe Repairs at 4887 Twin Branches Way. Approval of Funding for Storm Water Pipe Repairs at 5555 Bend Creek Road. Approval of Additional Funding for Storm Water Pipe Repairs at 5631 Woodsong Drive. FIRST READ: Ordinance Dedicating City Property to the Georgia Department of Transportation. Resolution Amending the Rules and Procedures for City Council Meetings. Resolution to Revise Membership for the Sustainability Committee. Resolution to Revise Membership for the Dunwoody Volunteer Coordinating Committee. FIRST READ: Ordinance Amendment to Chapter 16, Division 4 Stream Buffers. Kingsley Charter School’s annual spring festival is Saturday March 19th. Kingsley’s annual spring festival is Saturday March 19th. Over 20 class booths, 5th grade sponsored food court, game truck, laser tag, obstacle course, hay ride, and much more. We also are having a auction featuring some great items. We have a Justin Upton baseball and a Charles Barkley basketball and a Julio Jones jersey. We also have a artwork, jewelry, a hot air balloon ride for 2 plus, summer camps, local festival entries many other items. Come out from 10-2 and enjoy a great day with friends and neighbors. Today is St. Patrick's Day which is a special day for the Irish and Irish Catholics in particular. When I think of St. Patrick my thoughts drift back to my Chicago background and my connection to Old St. Patrick's Church, the oldest public building in the City of Chicago and the church that hosted my grandfather's funeral, my wedding and my three boy's baptisms. If you want to know a part of my history as well as the history of Chicago Irish, it can be found in this video. 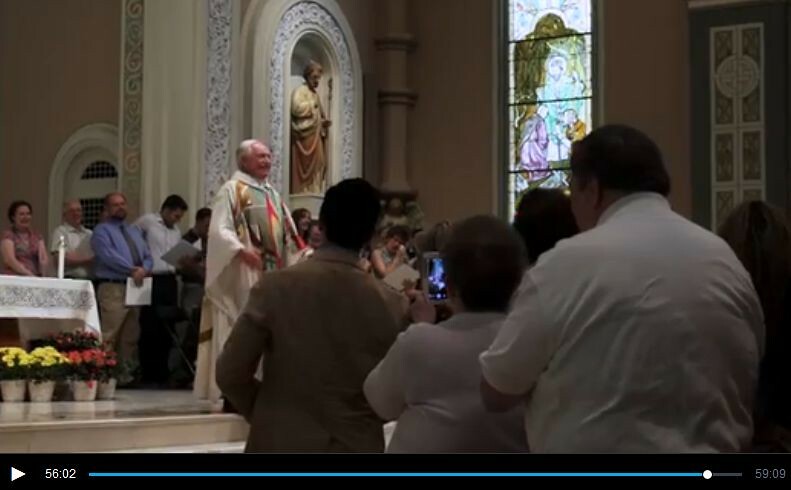 One of the stars of the video is Father John Cusick, the priest who married Kristin and myself, as well as baptized all the boys. Father John is a rock star of the Catholic Church who transformed Young Adult Ministry throughout the United States and a man I deeply, deeply respect. 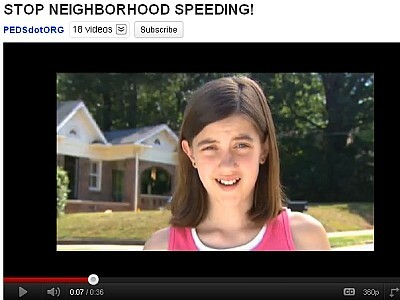 This is what happens when we drive the speed limit on a two lane residential street in Dunwoody. Watch the video of a driver on North Peachtree Road. This isn't the first time this has happened and the city is already exploring safety options, they just can't get here fast enough for some residents. 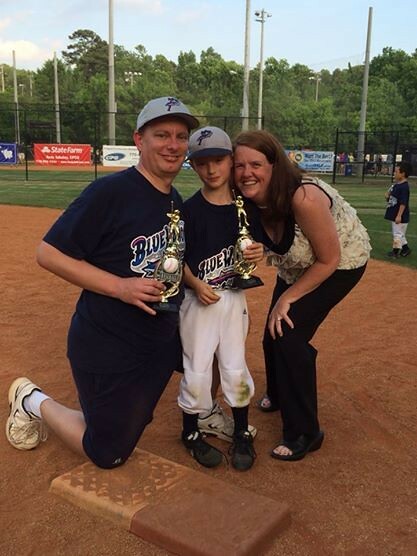 Erin was a dedicated parent and volunteer at Chesnut that the community and her family lost way to soon. Today the community will be remembering Erin with a short ceremony as they "cut the ribbon" on a new bench and Dogwood tree in her honor. For those who are able to attend, please gather on March 17th, 2016 at 3:10 near the trees in front of Chesnut (4576 N. Peachtree Rd., Dunwoody, GA 30338). The dedication will begin at 3:15 and last approximately 15 minutes. It will be light and informal, and refreshments will be served. Children are not only invited to attend, but they are encouraged to attend. Community BINGO is this Thursday, March 17 in the All Saints Gym! Bingo cash payout; Game 1, $50; Game 2, $75; Game 3, $50; Game 4, $125; Game 5, $75; Game 6, $75; Game 7, $75; Game 8, $75; Game 9, $50; Game 10, $250. The charge is still only $15 per player. With this you will get nine cards per game and we play 10 games. That's 90 chances to win! We will still raffle off 3 free gift cards usually for local eateries valued at $25 or more. 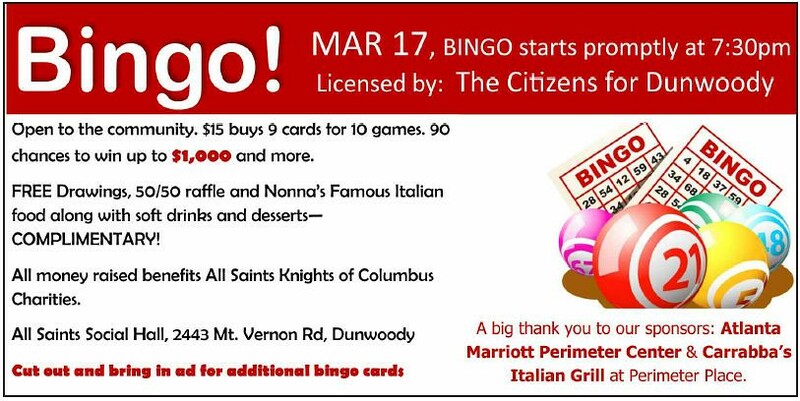 A 50/50 split the pot raffle, the Complimentary food and dessert (hopefully we'll see your generous donation) this bingo we will serve our signature sausage, peppers, and onions sandwich, which has been a favorite and is always requested. Bingo cash amounts are determined by the number of players which could reach a total of $1500, so the $900 payouts could increase! With an increase in our attendance these pots will continue to grow! Come out and join an evening of fun, experience the delicious food, and all while helping us raise money for our charities. We looking forward to seeing everyone there. Dunwoody places a 90 day moratorium on LED Sign applications in surprise move after executive session. 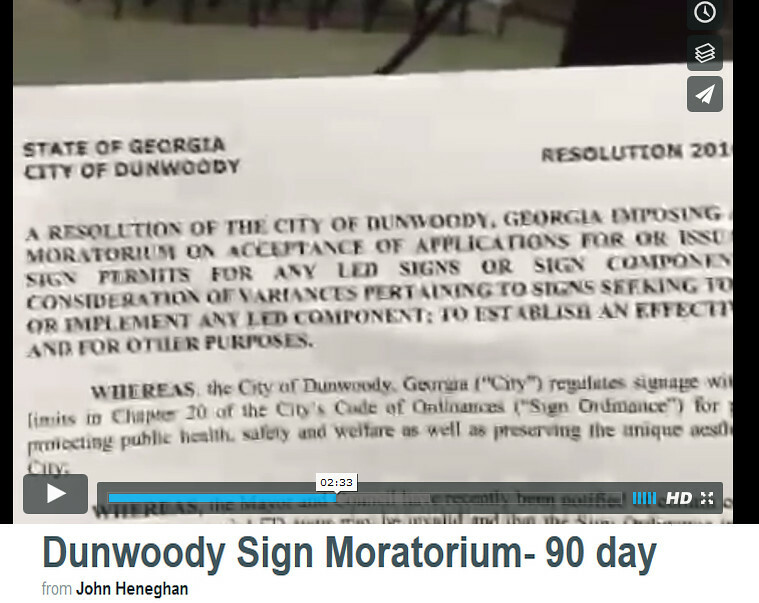 Monday's Dunwoody City Council Meeting started at 6 pm and was still going strong five hours later when the City Council came out of Executive Session to place a 90 day moratorium on sign applications. It was mentioned by Councilmember Thompson that this surprise move was done because of a decision handed down by the Georgia Supreme Court in favor of the City thereby approving a DeKalb County Court decision. Not much else I can say at this time. In other news, the City still has a $24 million dollar budget for all 2016 City operations and can not afford the $12 to $18 million dollars needed to renovate the Brook Run Theater but the city has deferred going forward with demolition for the next few months giving the group time to explore funding options. Theater lovers with deep pockets are needed. The City went over the 2015 community survey results which gave the City glowing remarks but the pats on the back really go to our local non-profits who typically run our events. We as a City Council need to remember this fact when it is time to fund the entertainment opportunities at Food Truck Thursdays, Lemonade Days, etc. The 2016 budget amendment passed as presented but during discussion it was determined that there are financial reserves available for citizen requested public safety / transportation improvements. Council just needs to set priorities with Public Works. The proposed meeting rule changes were deferred until the next meeting as someone may have found conflicts between that proposal and our City Charter. Finally there was a discussion about adding teenagers to a few specific committees but there was a thought that what we really needed was maybe a Teen Council? Maybe we could start a Dunwoody Youth Leadership program? Administer Oath of Office to Officer Juan Basulto and Officer Jeffrey Leach. Peachtree Gateway Partnership. Bylaws, meeting notes. Update on Dunwoody Green Commercial Site. Resolution to Amend the 2015 Capital and Operating Budgets. Resolution Authorizing Application for Community Choices Program. Funding Approval Request for Stormwater Repairs on Vermack Road. Georgia Power Streetlight LED Conversion. Proud is my one word! 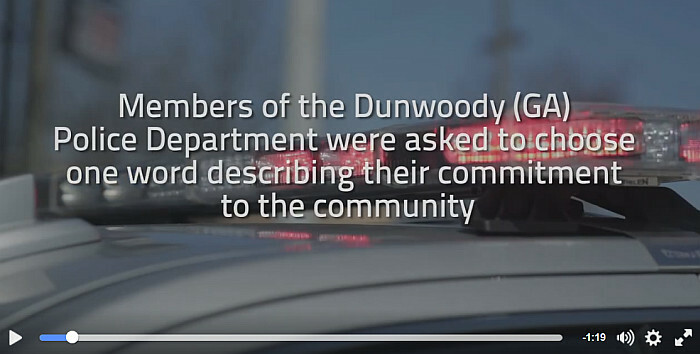 The men and women of the Dunwoody Police Department are committed to providing excellent service to the citizens of Dunwoody. As an outward symbol of that commitment for 2016, I asked members of the department to provide #oneword that symbolized their individual commitment to our mission and to the people of Dunwoody. Dozens of members of the department responded and we put together this short video highlighting several staff members with their #oneword. I hope you enjoy. Dunwoody residents are requesting safety improvements over additional paving dollars. 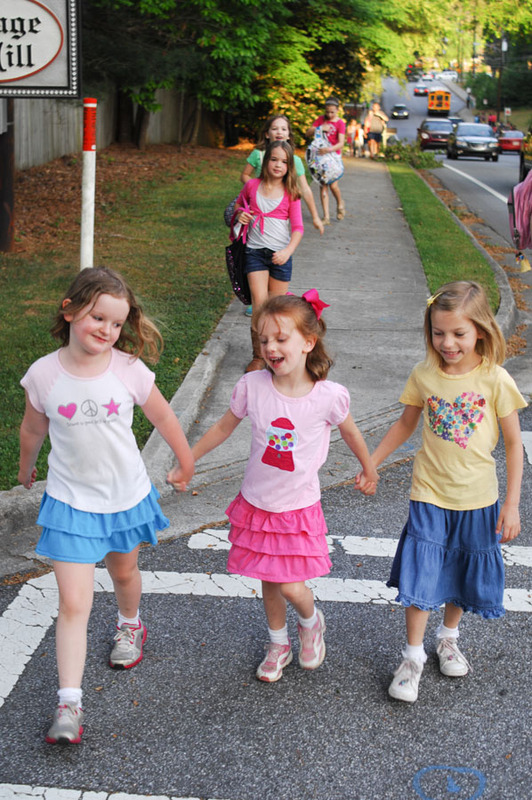 http://bikewalkdunwoody.org to make pedestrian safety a priority. I hope we can have both? This is a saying we are all familiar with. Be safe. Don’t slip. Unplug the curlers. Whatever. Whether it be on a work site, our schools or at home. And while driving, too. But what about persons walking on foot? How about the residents & children that live along our streets? “Look both ways before crossing”. “Stop, look & listen” are what we were taught. These are actions we take as individuals walking around. But what about the conditions & the environment around us? How are our streets engineered and designed? Who are they designed for? By default, can people simply and safely cross our streets? Can children play out in our neighborhood streets where it’s posted at 25 miles per hour? Time & time again on a daily basis in Dunwoody, we see unsafe conditions and actions of motor vehicle operators that need to change. Why? There’s many causes, but a huge one is engineering and the current built environment. We ask that the Dunwoody City Council reflect our community value of “Safety First” and take immediate actions to reduce the likelihood of a crashes that can cause injuries or fatalities of our citizens and guests. Put Safety First as the number one criteria in our budgeting formula for fixing and maintaining our streets. Our Dunwoody streets need paving. We all acknowledge this and we transfer nearly ten percent of our city’s budget into these efforts each year. But there needs to be a priority of funding for SAFETY above all else. During the March 14th city council meeting, there is a proposal to allocate an additional $250,000 from the 2016 General Fund to paving. We have already budgeted $2,300,000 for paving in 2016. As a 13-square mile city, we spend more on paving than the entirety of Carroll county, which has 500 square miles. We ask that these precious funds be directed into safety projects to protect our most vulnerable users. To accomplish this, please remove the “Resolution to Amend the 2016 Operating and Capital Budgets” from the Consent Agenda and open it up to discussion and a separate vote. Our public thoroughfares need to be re-engineered to a human-scale. Today, they are built so that cars can drive as fast & efficiently as possible through our city. Look at North Peachtree in the Kingsley neighborhood. Look at Stonington and their long-term and ongoing efforts of the residents in their attempt for traffic calming measures. Look at the new pedestrian crossing with flashing beacon lights on Mt. Vernon & Stratham. Each day, cars zoom by as people on foot press the crosswalk button. The lights flash while families anxiously wait to cross and walk to school or meet their neighbors. 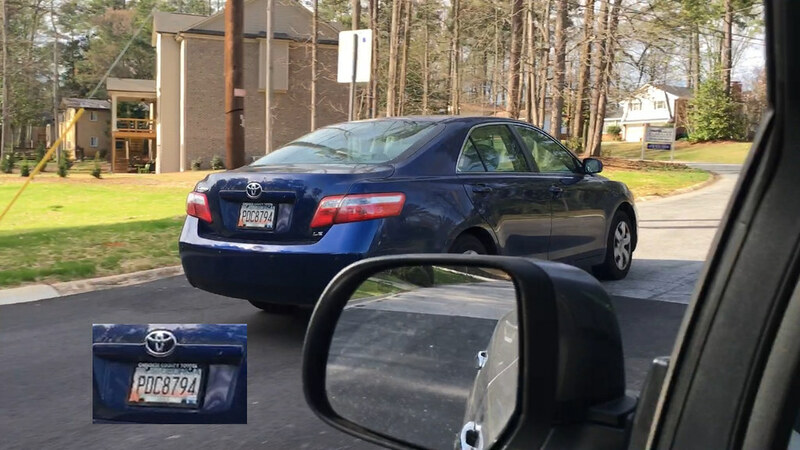 Evidence as posted to the NEXTDOOR website. We have dozens of other examples. A white painted crosswalk marking, or even flashing beacon lights only do so much. Safety must be the number one priority of how we spend our Public Works dollars. We’ll all eventually have smooth, paved roads. 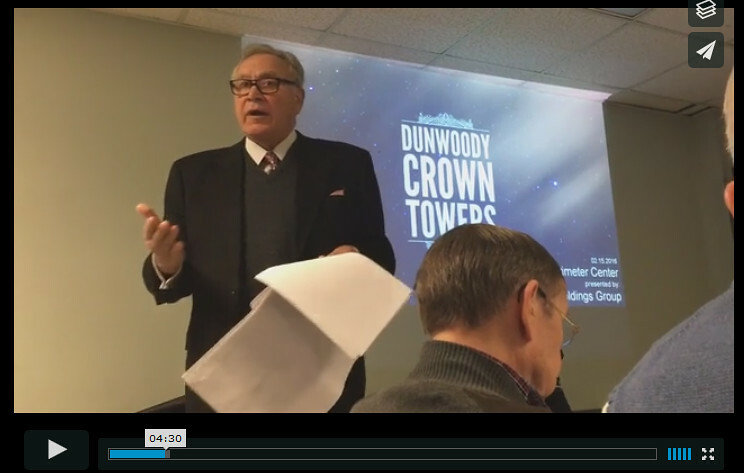 Tonight - Dunwoody Homeowners Association to again discuss Crown Towers proposal for two large residental condo towers. Sunday, March 6, 2016 @ 7:30 P.M.
Dunwoody Preservation Trust funding request.